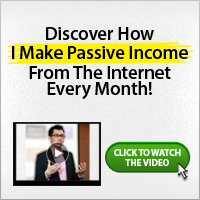 I once shared a post about how to make real passive income from Affiliate Marketing. If you have not read it, you should read it before this. And if you are not so much into affiliate marketing, you can go ahead and read this post. To start with, the passive income you make from Network Marketing is called “Bonuses”. These can either come in categories like unilevel, binary or hybrids. Network Marketing is rated as the Number One industry in millionaire creation. This is because, with Network Marketing, you can generate passive income that will make you a millionaire in less time. Network Marketing uses wealth creation engines such as leverage, compound interest and passive income. It works with a system, saving you stress, time, energy and money. You should get yourself involved in Network Marketing if you really want to create real passive income from Network Marketing. It is the best wealth creation engine we have in this century. This is because, we are more social. We love building network. And the more network you have, the more money you can make from network marketing is you really build a system for this. Where Do I Find A Good Network Marketing Company? There are many network marketing company out there but not all of them work with a good system. I know of a good network marketing compnay that I have also been part of since 2008. You will make the most of this company’s successful system to create passive income for yourself. 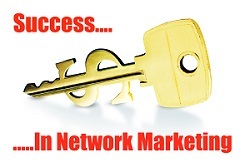 Ideally, you will have to become a member of the network marketing company yourself before you can really promote it. With this, you will get all the necessary promotion/marketing tools you need. In addition, you will have access to the know-hows so can successfully promote and make more passive income. I believe that you have made your choice of a Network Marketing company. If you need more information about network marketing and how you can start creating passive income from it, please send me a mail to [email protected] Add your name, email address, phone number, present location. I’ll get back to you with more information about the network marketing company I make passive income from and how you too can.